Rodney Wilder was born on January 10, 1917, in Taylor, Texas. He enlisted in the Aviation Cadet Program of the U.S. Army Air Corps on November 23, 1940, and was commissioned a 2d Lt and awarded his pilot wings at Stockton Field, California, on July 12, 1941. His first assignment was as a B-25 Mitchell pilot with the 95th Bomb Squadron of the 17th Bomb Group at Pendleton Field, Oregon, from July 1941 until he was selected for the Doolittle Mission in February 1942. Lt Wilder was the co-pilot on the 5th B-25 to take off from the aircraft carrier USS Hornet (CV-8) on April 18, 1942, and after bombing Tokyo the crew bailed out over China when their aircraft ran out of fuel. He remained in the China-Burma-India Theater after the raid, and served with the Ferry Command in India until returning to the United States in June 1942. 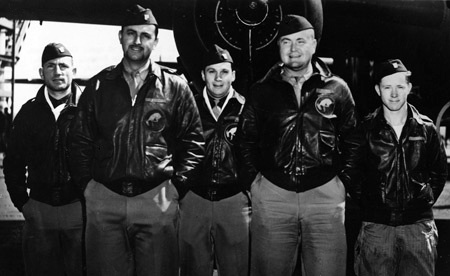 After taking leave and participating in a War Bond Tour, Lt Col Wilder served as a B-25 pilot and as Commander of the 380th Bomb Squadron of the 310th Bomb Group in South Carolina from July to September 1942, in England from September to November 1942, and in North Africa and on Corsica from November 1942 to March 1944. 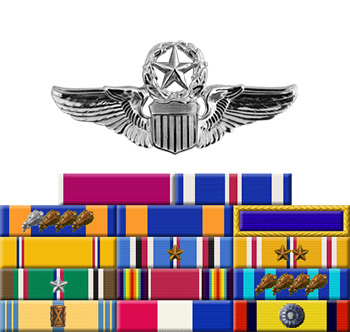 After returning to the United States and taking leave, his next assignment was as an Air Inspector and Deputy Base Commander at Pampa Army Airfield, Texas, from June 1944 to March 1945, followed by service as Deputy Base Commander at Frederick Army Airfield, Oklahoma, from March to June 1945. His final assignment was as a Base Commander in San Antonio, Texas, before he left active duty and joined the Air Force Reserve on April 18, 1947. 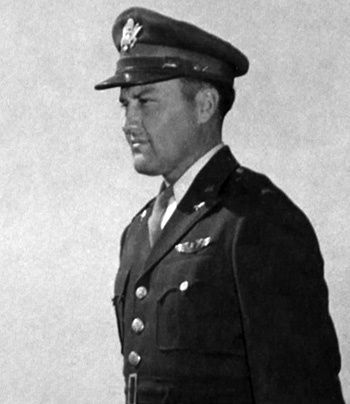 Col Wilder served with Headquarters 12th Air Force at Brooks AFB, Texas, from April 1947 to February 1956, and as Commander of the 433rd Troop Carrier Group at Brooks from February 1956 to June 1957. He was still a member of the Air Force Reserve at the time of his death on July 9, 1962, and during his time in the reserves he worked for the General Services Administration, serving as the Regional Director of Business Affairs for the GSA at the time of his death. Rodney Wilder was buried at the Taylor City Cemetery in Taylor, Texas. For extraordinary achievement while participating in a highly destructive raid on the Japanese mainland on April 18, 1942. Lieutenant Wilder volunteered for this mission knowing full well that the chances of survival were extremely remote, and executed his part in it with great skill and daring. This achievement reflects high credit on Lieutenant Wilder and the military service.